Mangroves provide extensive ecosystem services that support local livelihoods and international environmental goals, including coastal protection, biodiversity conservation and the sequestration of carbon (C). While voluntary C market projects seeking to preserve and enhance forest C stocks offer a potential means of generating finance for mangrove conservation, their implementation faces barriers due to the high costs of quantifying C stocks through field inventories. To streamline C quantification in mangrove conservation projects, we develop predictive models for (i) biomass-based C stocks, and (ii) soil-based C stocks for the mangroves of the Asia-Pacific. We compile datasets of mangrove biomass C (197 observations from 48 sites) and soil organic C (99 observations from 27 sites) to parameterize the predictive models, and use linear mixed effect models to model the expected C as a function of stand attributes. The most parsimonious biomass model predicts total biomass C stocks as a function of both basal area and the interaction between latitude and basal area, whereas the most parsimonious soil C model predicts soil C stocks as a function of the logarithmic transformations of both latitude and basal area. Random effects are specified by site for both models, which are found to explain a substantial proportion of variance within the estimation datasets and indicate significant heterogeneity across-sites within the region. The root mean square error (RMSE) of the biomass C model is approximated at 24.6 Mg/ha (18.4% of mean biomass C in the dataset), whereas the RMSE of the soil C model is estimated at 4.9 mg C/cm3 (14.1% of mean soil C). 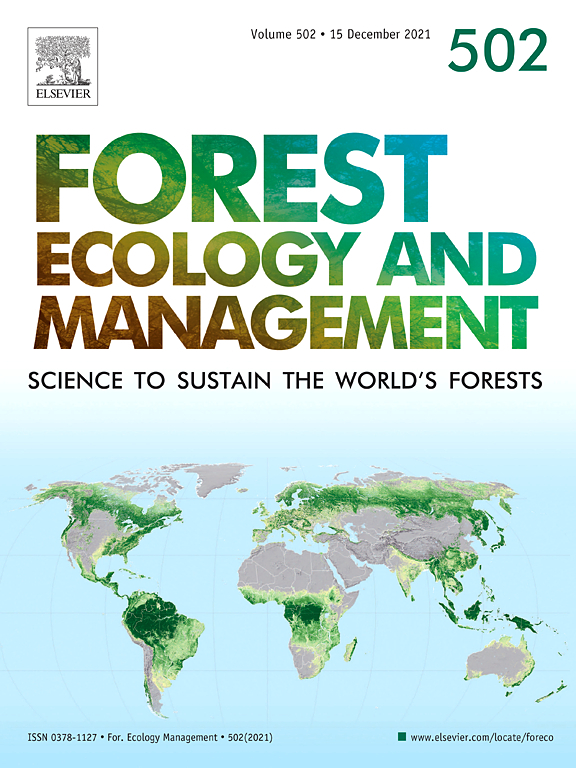 The results point to a need for standardization of forest metrics to facilitate meta-analyses, as well as provide important considerations for refining ecosystem C stock models in mangroves. Authors: Bukoski, J.J.; Broadhead, J.S. ; Donato, D.C.; Murdiyarso, D.; Gregoire, T.G.